COLUMBUS, Ohio – Rising sea levels driven by climate change make for salty soil, and that is likely to force about 200,000 coastal farmers in Bangladesh inland as glaciers melt into the world's oceans, according to estimates from a new study. Frequent flooding with salt water is already pushing farmers in Bangladesh to shift from growing rice to raising shrimp and other seafood, but not all coastal residents will be able to stay put and maintain their agricultural livelihoods, said study co-lead author Joyce Chen of The Ohio State University. "Unfortunately, this is likely to be most challenging for those farming families who have the fewest resources to begin with," said Chen, an associate professor of agricultural, environmental and development economics. 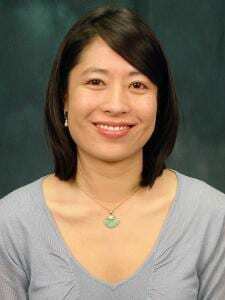 Chen and her co-author, Valerie Mueller of Arizona State University and the International Food Policy Research Institute, pulled together a variety of socioeconomic, population, geographic and climate change data to create models that allowed them to estimate population shifts based on rising water encroaching on coastal farmland and subsequent increases in soil salinity. Salty soil impedes growth of rice and most other crops. It's the first study of its kind. In the next 120 years, coastal communities that are home to 1.3 billion people will be inundated with seawater, according to scientific forecasts. This puts about 40 percent of Bangladesh's agricultural fields in jeopardy and already, residents of coastal areas are experiencing frequent flooding from rising oceans and adapting to the new normal. "Many farmers have already converted some of their operations to aquaculture, raising shrimp and fish that do well in brackish – or somewhat salty – water," Chen said. According to the study, as soil salinity moves from low to high, the share of agricultural revenue from shrimp and other seafood farming goes up almost 60 percent. Converting from rice to aquaculture isn't a simple or cheap endeavor, however, and many farmers can't afford to make the change on a large-scale level, Chen said. "My concern is that the most vulnerable people will be the least resilient in the face of climate change, because they have limited resources to adapt their farming practices or to move longer distances in search of other employment," Chen said. "The Bangladesh study offers interesting insights for governments of countries facing similar imminent threats of sea level rise. As internal migration patterns are expected to shift in countries vulnerable to sea level rise, ministries of planning may benefit from developing economic strategies that integrate and even leverage the expected additional number of workers coming from vulnerable areas," she said. "Given the humanitarian nature of climate migrants, additional financial support from the international community may be necessary to foster resettlement programs."